Do you want to enhance the videos and graphics you produce? Looking for affordable stock photos, video clips, and music? 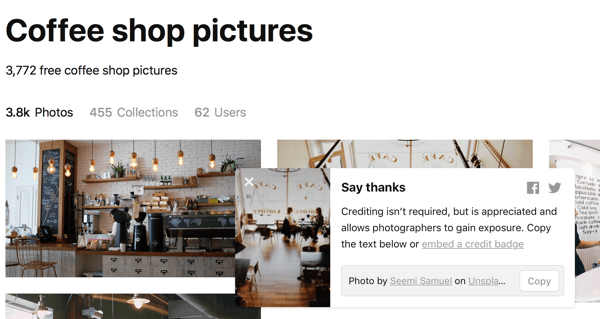 In this article, you’ll discover 13 places where creators and marketers can find quality stock imagery and media files. 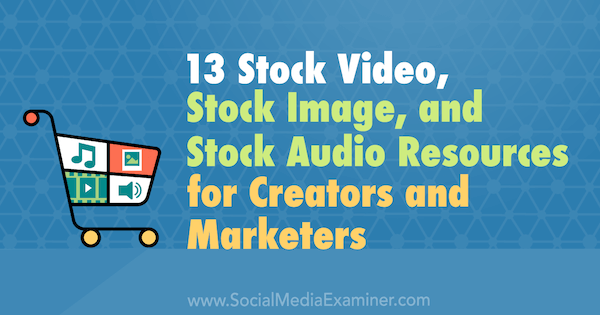 13 Stock Video, Stock Image, and Stock Audio Resources for Creators and Marketers by Valerie Morris on Social Media Examiner. Video files are a must-have in your social media marketing, and often that means creating your own original videos to highlight your business or brand. Videvo is a fabulous resource to find free stock video files that can be used in the background or as transition clips. 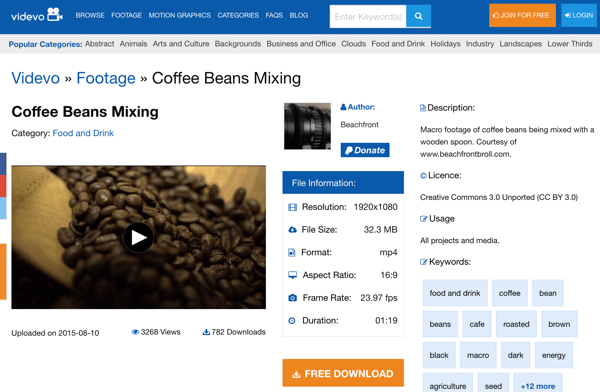 It’s simple to download files, easy to navigate, and full of great clips for short content videos for social media. You’ll love the variety and the ease of searching the website. Videvo’s simple interface makes it easy to search for footage based on keywords. The National Park Service offers a ton of great video files that fall under the public domain category. Some videos require giving credit to the filmmaker so watch the labels carefully. Search through countless hours of nature footage to use. Bonus: You’ll find a treasure trove of audio files, photos, and even webcam footage. This is a multimedia goldmine! 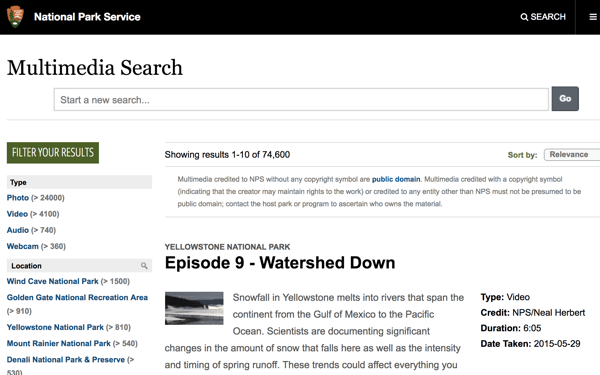 Explore thousands of hours of footage and files provided by the National Park Service. 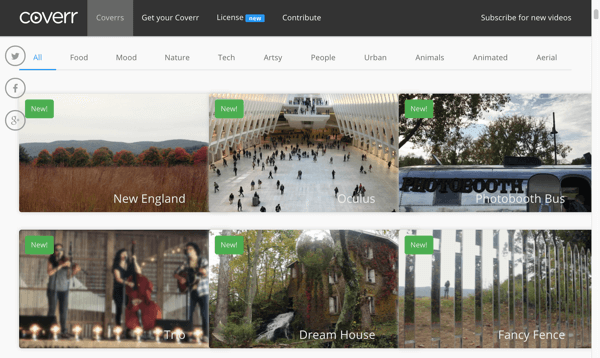 Vimeo has made it easy to search for video clips that fall under various versions of free or free to use, but with levels of use or recognition. The files are filtered accordingly, making it a snap to find the right type of video for your needs. 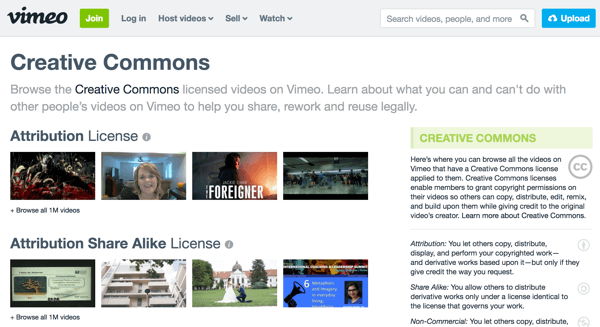 Vimeo groups video footage by license type and includes explanations of each type on the right. 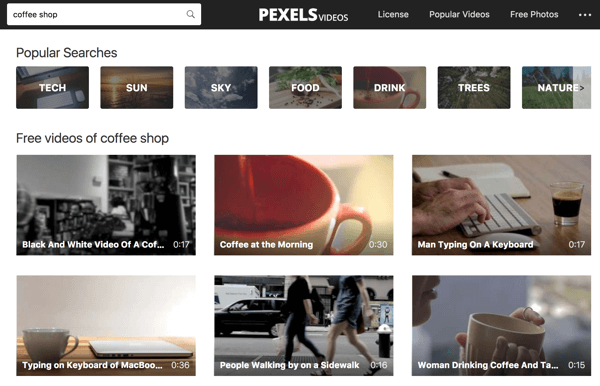 Pexels has been a long-time favorite for free photos but many people don’t realize that the site also has Pexels Videos. Find great short video clips for social media posts. Pexels Videos makes it easy to do a keyword search for video footage. Coverr is constantly updating. Find seven new videos every week that are beautifully artistic and ideal for conveying your next story on social media. If your business wants to look a little different from everyone else, Coverr is a must-have on your list. Coverr video files also work great for Facebook cover videos. Search the Coverr website for videos and/or sign up to receive email notifications about new videos each week. Creating customized graphics has become so popular and necessary that there are a lot of resources online to find just the right photo. The folks at Death to Stock are out to change the world of stock photography and they’re creating some pretty amazing images in the process. When you sign up for their newsletter, you’ll get a monthly photo bundle delivered straight to your inbox, and who doesn’t love free photos? A premium subscription gets you access to even more amazing photography. 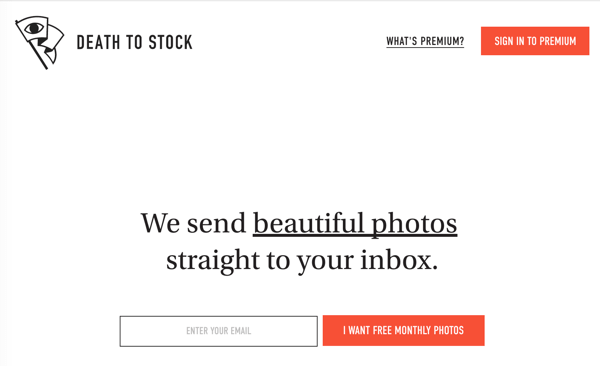 Sign up for monthly photo packs of unique royalty-free photos delivered right to your inbox. If you’re looking for a wealth of beautiful photography and a lot of it, Unsplash is a great website. If you sign up for their list, you’ll receive photo bundles via email. Or you can do a keyword search on their website to find the type of photos you need. After you download a photo, they’ll remind you that it’s nice to say thank you and give credit if you want. After you’ve downloaded an image, Unsplash will suggest you say thank you by giving credit to the photographer. Looking for photos related to agriculture or farming? While not something you’ll want every day, turn to AgStockPhotos when you need affordable photos for this niche. The site’s pricing on stock photos starts at $1. Tip: Searching the singular version of a word typically delivers higher results than the plural version. 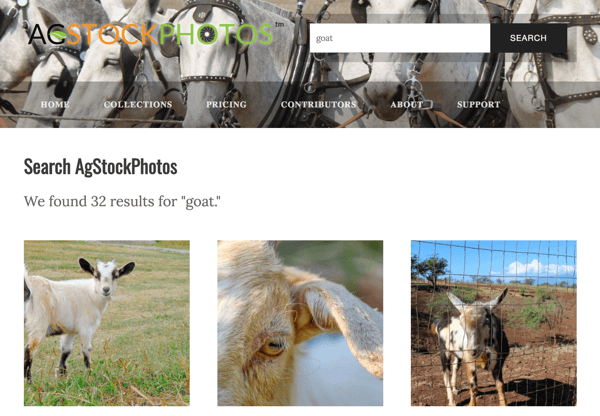 For example, a search for “goats” resulted in only four images, but “goat” brought 32 results. Canva is a favorite around the social media space for creating basic graphics with ease, but their image library is just as amazing. To search for images, click the Search tab on the left and enter your keyword in the search box. In your search results, be sure to click the Illustrations tab to find more graphic icons. Canva has a ton of great free stock photographs that you can use, and if you don’t see what you want in the free options, the paid photos start at $1. 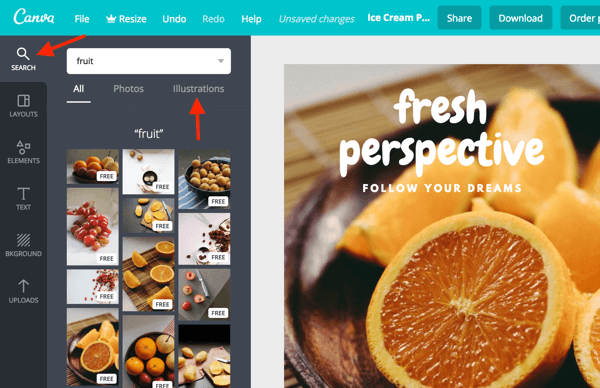 Use the search bar to find photos and illustrations right in the Canva dashboard. Audio adds an extra dimension to the social media experience so it’s no wonder creators are always looking for quality audio files to use in their posts. The YouTube Audio Library is one of the best tools to find music that’s safe to use in your videos or podcasts. Most of the music is clearly marked as free to use but watch for a few artists who require music credit in your video description. 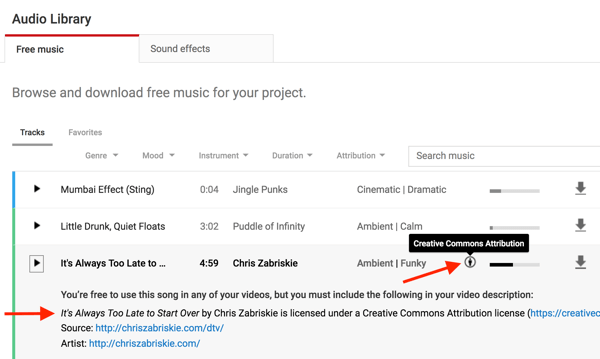 Music files in the YouTube Audio Library will note if you need to credit the original creator. Visit Freesound to access a huge library of sound effects and music tracks, most of which are free to download under the Creative Commons license. Creators are constantly adding new audio files to this site so there’s never a lack of great clips to explore. 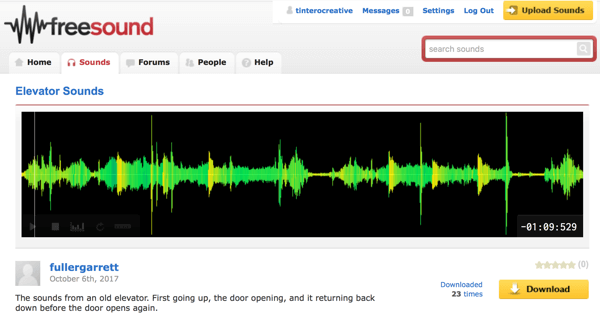 Search for unique sounds to add to your social media content using Freesound’s search bar in the top right of the screen. 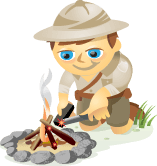 AudioJungle is a budget-friendly option to get rights to amazing sound effects and music. You can filter based on length of audio file, cost, tempo, tags, and more. AudioJungle is part of the Envato Market family, which has a ton of other tools related to online marketing. 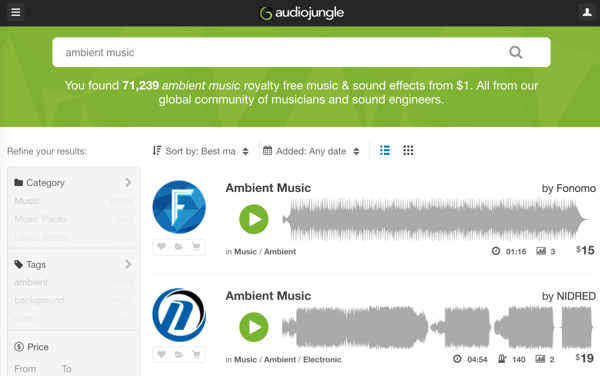 Search through AudioJungle’s robust library of royalty-free music and audio tracks starting at $1. Looking for fun space sounds or famous audio clips from astronauts? Searching for images from space or even some video? Check out the NASA Collection on SoundCloud to access a great compilation of historic sounds that you can use to enhance your edited podcasts or videos. Tip: If you don’t know where a quote came from, do a Google search for the phrase to learn which NASA mission it’s associated with. This allows you to narrow your search on the NASA library. 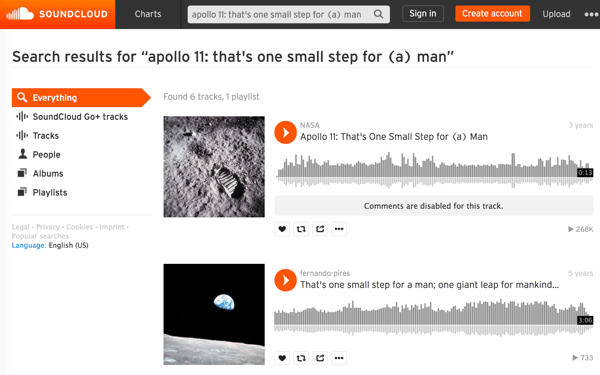 Search NASA’s media files on SoundCloud to find and download the audio of iconic historical moments like the first walk on the moon. As you search through these various tools, you may come across a few terms that explain how you can use the files. Because you can’t just use any old file you find online, let’s dive into the basics because I guarantee you’ll see a few of these phrases floating around as you search. Public domain content is either no longer subject to the laws protecting intellectual property, was never protected by its creator, or has been contributed to the public domain by its owner(s). You can use public domain files without permission. An example of this would be an audio file of a classical piece of music by Mozart. “Royalty free” refers to a licensing setup where images are sold at a flat rate and can be used for almost anything. The alternative is where you can buy rights to a photo but the owner puts restrictions on how you can use it. Royalty-free situations are nice because you get more freedom in application for the use of that file. Some royalty-free images may be given away for free but others may require a small fee. Creative Commons licenses allow creators to communicate which rights they reserve and which they waive for the benefit of recipients or other creators. If you’re using files that fall under the Creative Commons umbrella, watch for any instructions on giving credit. Some creators have requirements but many don’t. Creative Commons is a great way to help support fellow artists and give them credit. Similar to tagging someone in a Facebook post or tweet, giving credit to the original artist helps increase their exposure and personal brand recognition. If you create original content for social media, make sure you know the requirements (if any) for the files you use. If you’re not 100% certain about the ownership of the rights of any material, consult an expert. You can create some amazing social media content with the wealth of photos, audio, and video available today. Get comfortable with these tools and spend a few minutes paying attention to permissions and licensing rules, and you’ll be creating amazing content in no time. What do you think? What are some of your favorite resources for affordable media files? Please share in the comments below. Valerie Morris is a social media strategist, trainer, and the founder of Tintero Creative. She believes in the power of content to tell and direct a story on social media.